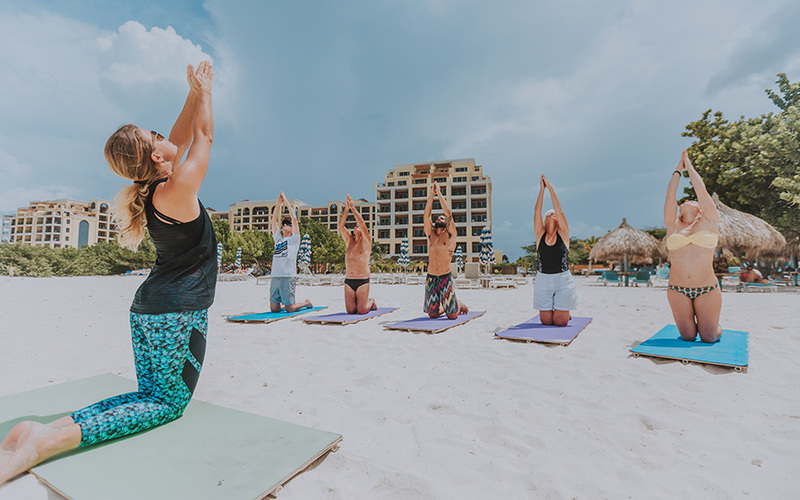 At Vela Sports Aruba we have our certified yoga teachers Nathalie Vriesde, Annabel Westerop and Adriana Stan teaching Beach Yoga classes and Paddle board Yoga classes. 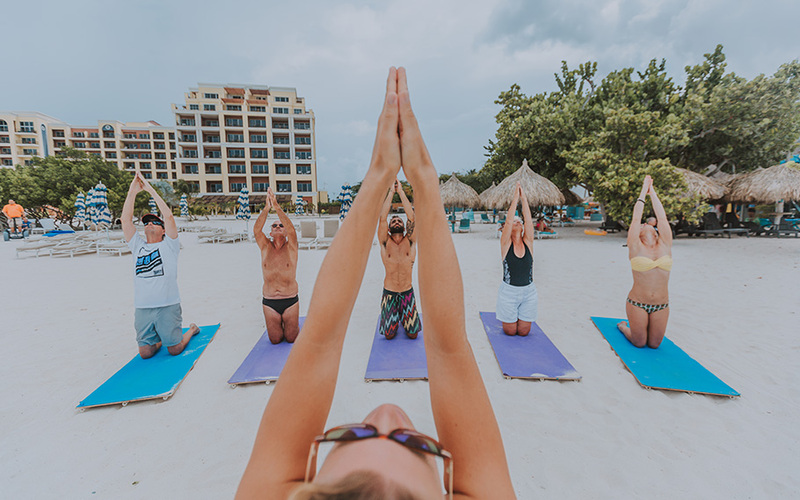 Whether you’re an experienced Yogi, or you would like to take a class to stretch before or after a windsurfing or kite surfing session, you’ll do fine in one of our classes as they are open for all levels. Regular group lessons day & hours: Wednesday, 8am - 9am • Friday, 8am - 9am • Saturday, 8am - 9am • Sunday, 8am - 9am.